Split large mp3, wav and other audio files to usable lengths. Split based on length or silence detection. Downloads and ready to use within minutes. 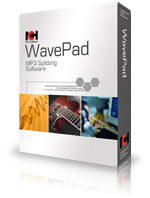 WavePad is a free audio file splitter that is designed to split audio files into a set number or a set duration. This easy mp3 splitter software can also detect a specified amount of silence and split the file at these points. Great for an mp3 containing multiple tracks (for example an entire CD in one file) and splitting it up into individual tracks. Designed to be very easy and intuitive to use, WavePad will have you splitting wav files, mp3 and other audio files within minutes and creating audio file sizes you want. Slice into x many files (slice one 10MB mp3 into two 5MB files). Slice into files of x duration where duration equals HH:MM:SS (split one 10 minute track into two 5 minute tracks). 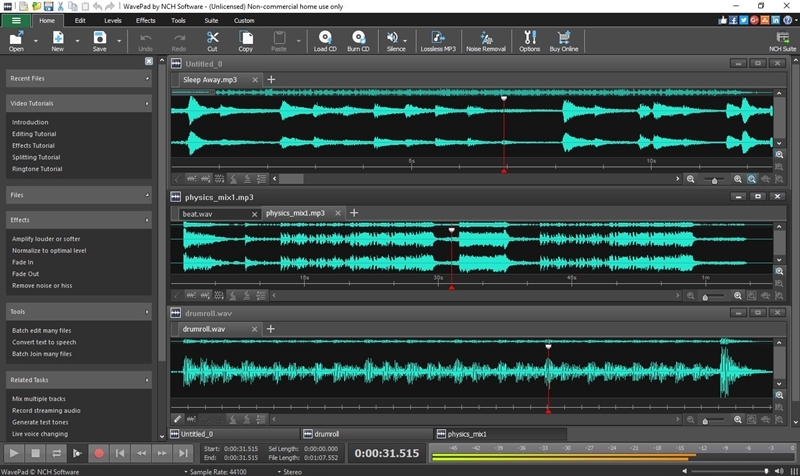 Slice into individual tracks using silence detection.